We work with businesses that range in size, complexity and business model. If you are in need of Ontario high risk payment processing, we can help. We are a leader in Ontario high risk payment processing and can help you get set up with the merchant account you need to pursue the best business opportunities and optimize revenue streams. Don’t get caught in the “bait-and-switch” tactics of other merchant services providers, many of which take a substantial cut of your profits. Both traditional and non-specialized Ontario high risk payment processing providers will make businesses jump through hoops. They may penalize you for high volume, require you to hold a reserve (so they can hedge against your future returns), or outright terminate your merchant account. Why should you pay more money when your business does more volume? The truth is, many merchant accounts are unable to support the increase in monthly volume so they compensate by charging fines or fees or simply shut the account down. 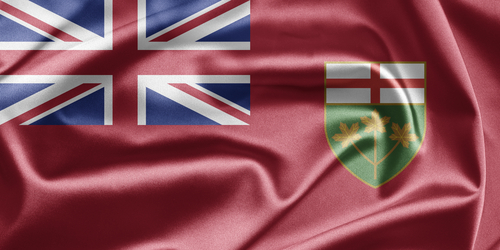 If your Ontario business is set up for growth, this can be a death sentence. Don’t put your sales, goodwill and future business opportunities at risk. The other problem merchants face when it comes to Ontario high risk payment processing is the chargeback threat. Certain industries are more prone to chargebacks than others. Chargebacks occur when a forced refund is facilitated by the cardholder’s issuing bank, either due to “friendly” fraud or true fraud. Chargebacks happen for a number of reasons, which span from customer services issues to poor fraud controls. MerchACT specializes in helping Ontario high risk merchants understand the root of their chargeback problem and find a viable solution to keep chargebacks in check. We specialize in providing high risk merchants with the guidance they need to optimize their transaction lifecycle. We help merchants streamline customer service processes, implement the right suite of fraud tools, and avoid costly chargeback fines and penalties. We also ensure our merchants are set up with PCI- compliant gateways and have the proper risk mitigation controls in place. Other merchant services providers may leave you to your own devices, but MerchACT acts as your partner to arrive at the best solution for your business. MerchACT is an industry leader in providing scalable, reliable and secure payment processing solutions. We evaluate your business model and create a road map including a specific course of action. We use this road map to set up the right merchant account for your specific needs. With almost 15 years in the Ontario high risk payment processing industry, we know how to be an excellent partner to every merchant we work with. As a true partner, we provide the best solutions for your business – solutions that help you remain financially stable and ready to grow. We have long-standing relationships with merchant banks across the globe, something few of our competitors can boast. We specialize in working with high risk merchants, so we understand the intricacies and special requirements of this segment. Our seasoned team of experts act as advisors, guiding you through every step of the process so you feel informed and secure in your decision. You wouldn’t trust just anyone to run your business, so don’t trust just any high risk payment processor to secure your payments. Work with a trusted leader that can tailor every solution to meet your unique needs. Whether you’re a new or long-standing high risk merchant, we can help you set up your Ontario high risk payment processing account or switch to something that makes more financial sense. MerchACT’s custom high risk merchant account services are designed to help your business grow. We provide full-scale account support and can help you with every facet of payment processing. You select the services you want and we’ll adapt to your needs.